Peachtree Hills home completely rebuilt and renovated in 2010 with designer-end finishes added in 2015 including custom built-ins, ship lap, plantation shutters, and Big Green Egg grilling table. Open kitchen with island to family room, breakfast bar, walk-in pantry, wine cooler and more. 9 ft ceilings on main. Master suite with large master bath and walk in closet, laundry area plus storage. Basement is a prime play room with extra storage, 2nd laundry area, and mud room featuring installed epoxy floors. Vaulted screen porch overlooking big, private fenced yard. Directions:From Piedmont Rd to Lindbergh heading towards Peachtree Road, take left on Eureka, house down on left. SchoolsClick map icons below to view information for schools near 279 Eureka Dr NE Atlanta, GA 30305. Home for sale at 279 Eureka Dr Ne Atlanta, GA 30305. 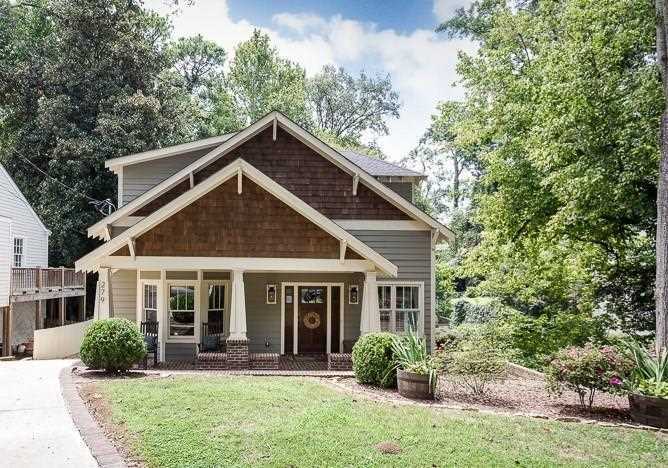 Description: The property at 279 Eureka Dr Ne Atlanta, GA 30305 in the Peachtree Hills subdivision with the MLS# 6119834 is currently listed for $779,000 and has been on the market for 94 days. You are viewing listing details of the home for sale at 279 Eureka Dr Ne Atlanta, GA 30305, which features 4 bedrooms and 4 bathrooms, and 3300 sq.ft. of living area.